Dr. Danila accepts the following list of insurance providers. Select your insurance provider to see more details. 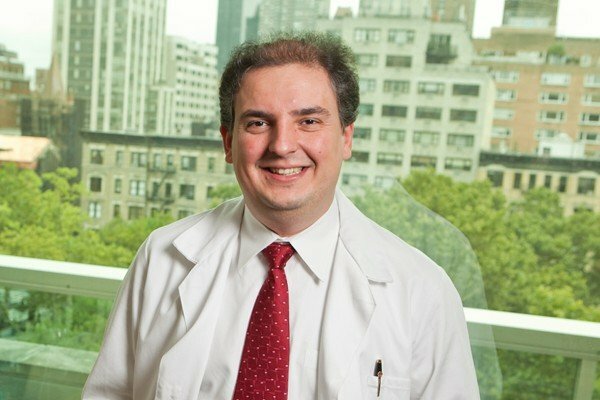 I am a board-certified medical oncologist and am part of a multidisciplinary team that provides compassionate and expert care to patients with prostate cancer and other genitourinary malignancies. My colleagues and I provide patients with individualized treatment approaches that include novel hormonal agents and biologics along with advanced diagnostic methods to ensure that patients receive the most effective treatment and have the best possible outcome. My laboratory research is focused on identifying biomarkers in prostate cancer that can help doctors select the most effective approach for each individual. My research is also focused on accelerating the pace at which laboratory discoveries are brought to the clinic. In related clinical studies I am investigating whether it is possible to use biologic profiles of androgen receptor signaling in patients’ tumor cells to predict their response to treatment. I am an author of numerous studies in these areas, and received a Young Investigator Award and two Merit Awards from the American Society of Clinical Oncology, and a Physician Research Training Award from the Department of Defense. Visit PubMed for a full listing of Dr. Danila’s journal articles. Pubmed is an online index of research papers and other articles from the US National Library of Medicine and the National Institutes of Health.